Modded Hori Tekken 5 Anniversary joystick. Replaced stock parts with all Sanwa parts including button covers and I used "Dura-Lar" over the artwork because its rubbery and is very comfortable for longer playing sessions more so than hard plastic. I love the button descriptions and the "Dura-Lar" sounds like an excellent idea. How do you actually go about customizing this? 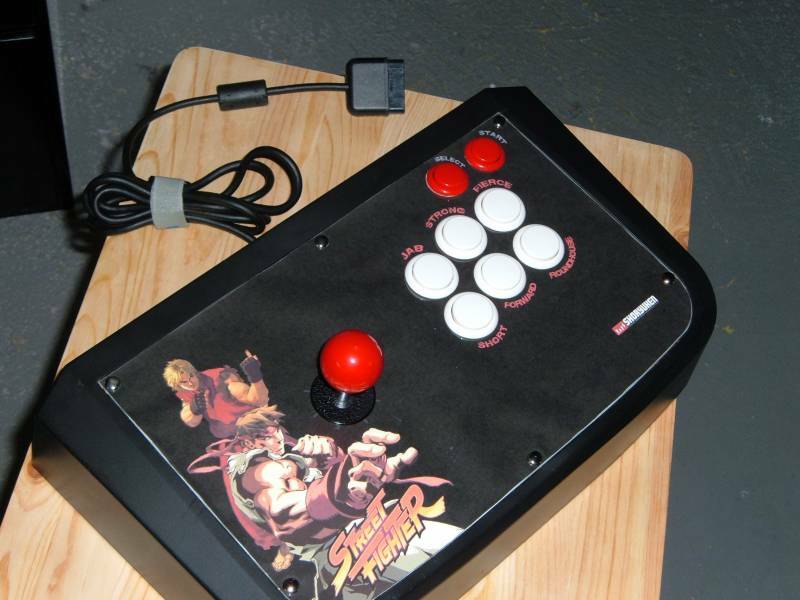 I have a T5 stick and its pretty worn out, buttons are not even responsive anymore. Could you tell me how to do this or a place where I can get it done?